Tuomas Holopainen's 3-track demo earned him his first record deal with his freshly founded band NIGHTWISH back in 1996. 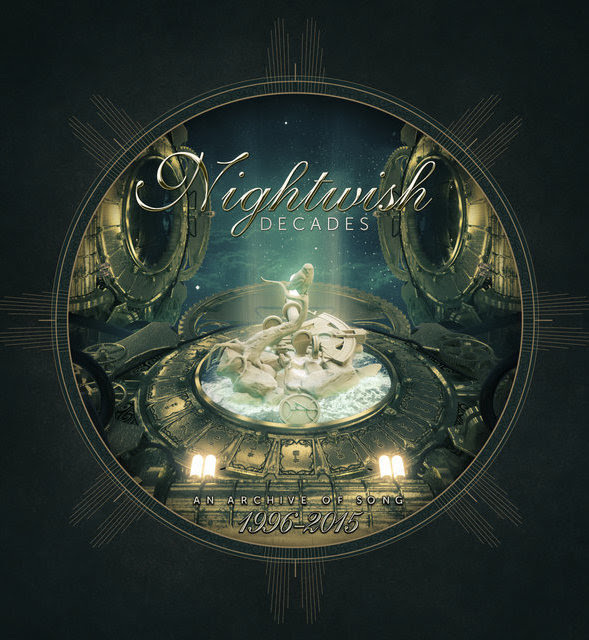 20 years later, with over 2,000 shows played and more than 8 million records sold - NIGHTWISH are the biggest European symphonic metal band. Reason enough for Nuclear Blast to celebrate this huge anniversary by releasing a 2CD compilation titled Decades, on March 9th, 2018. Tuomas comments: "Actually, for me personally, it's not a 'best of' because I think the more correct term would be 'the most essential ones' [...] If a person who has never heard of NIGHTWISH before would like to get an idea of what this band is about and has been about for the past 20 years, he would get the perfect picture on 'Decades'! That was like my philosophy in gathering those tracks." This release will be accompanied by a 9 month tour across the globe. After kicking off with 34 concerts in North America in March/April, the journey will continue with dozens of European festival and headline shows, including their highly anticipated UK show - a headline appearance at Bloodstock Festival on 12th August. Across this tour, NIGHTWISH will also be presenting a special set list featuring rare material from the early years of their career. That's why these evenings will not only be special events for fans, but also for the band themselves. Be prepared to hear a lot of old school material!